SAP uses high pressure plant air to prevent the conveyed material from coming in contact with the shaft seals, therefore extending the life of the seals. 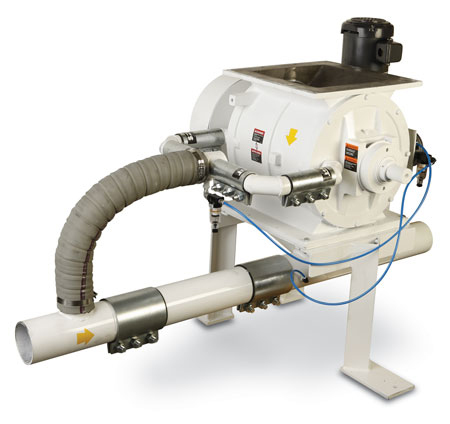 Magnum Systems offers Shaft Air Purge on our full line of rotary airlock valves. 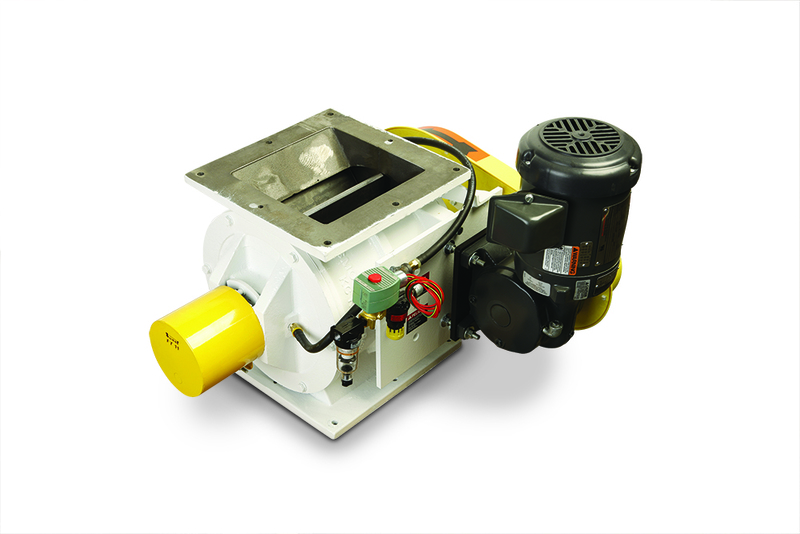 Magnum Systems offers the Cavity Air Purge process on its entire line of closed end rotary valves to reduce abrasion on the rotor, cylinder, and end-plates. This patented design uses low-pressure air from the pressure blower and purges the cavity between the rotor shroud and the housing end-plates. This air serves two purposes: To prevent the product dust from reaching the shaft packing, and more important to the life of the overall rotary airlock, it blows off material that would attempt to settle on the top flat surface of the closed end rotor. Cavity Air Purge is only provided on rotary airlocks that utilize a closed end rotor and are installed in a dilute phase pressure system.